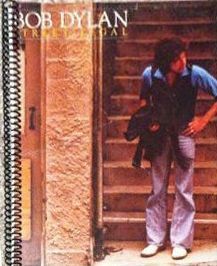 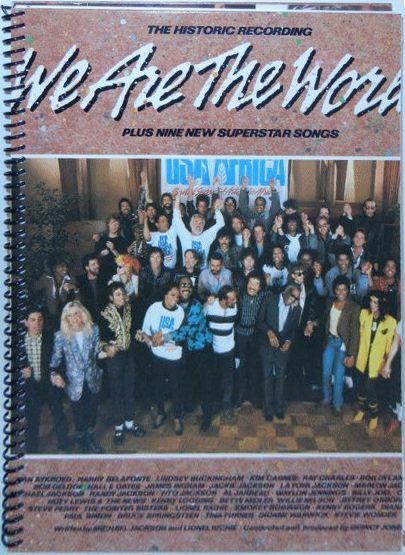 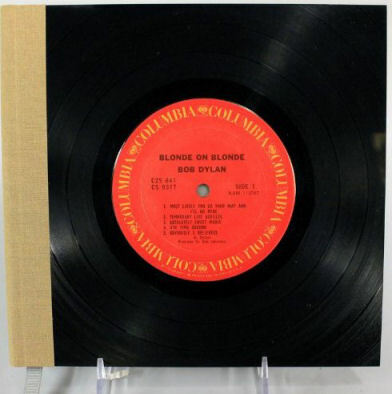 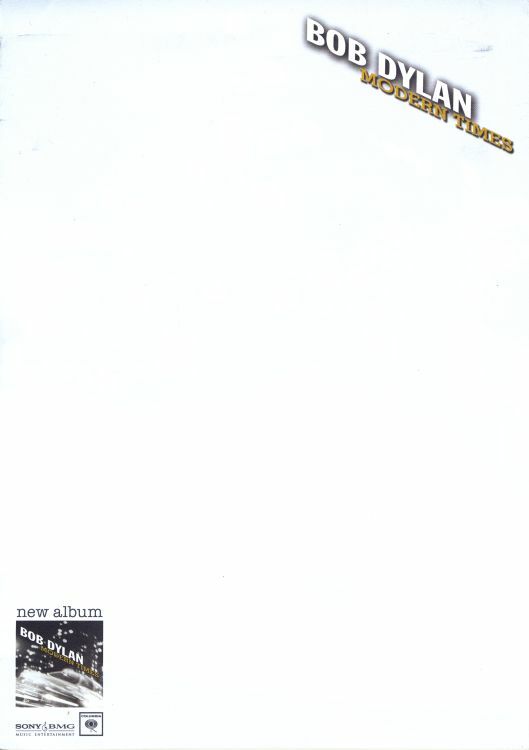 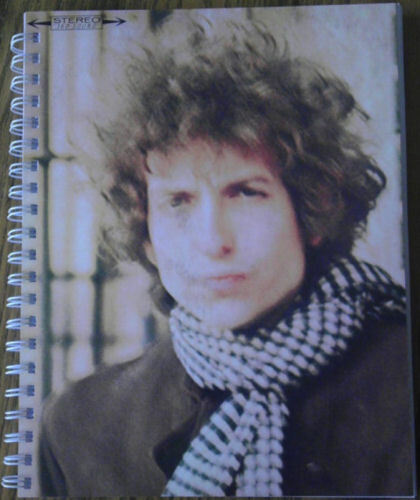 These are blank notebooks: Sony Music promo material, and unofficial items, available on the Internet: various notebooks and 'The Album series'. 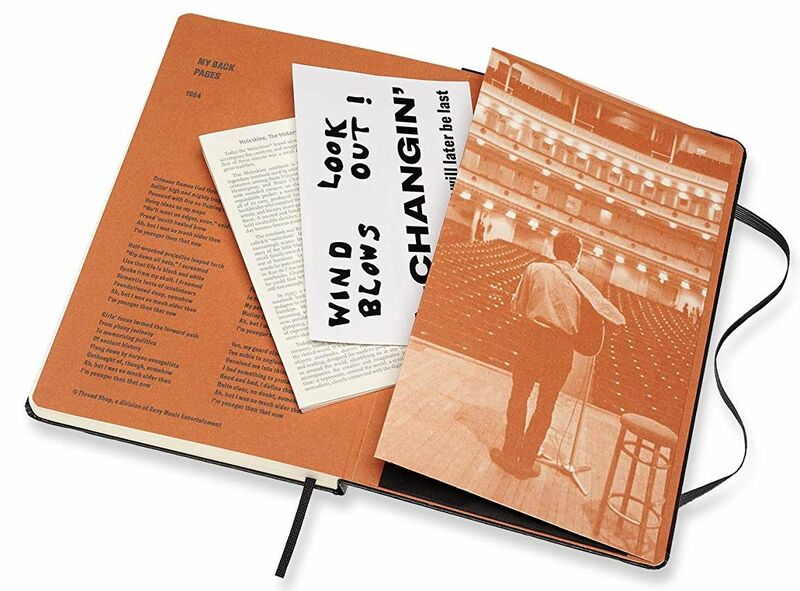 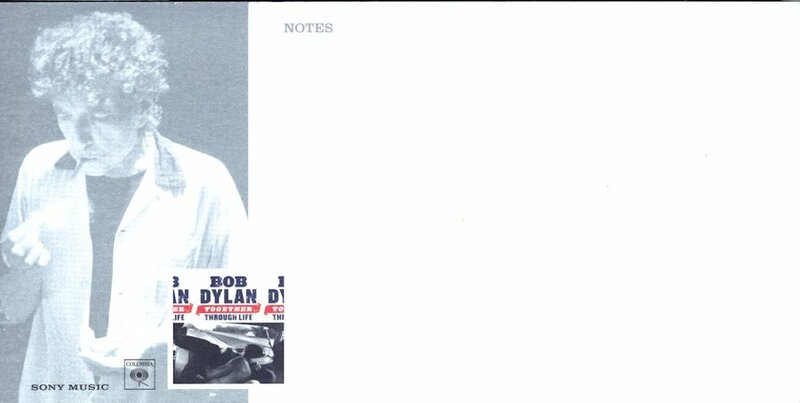 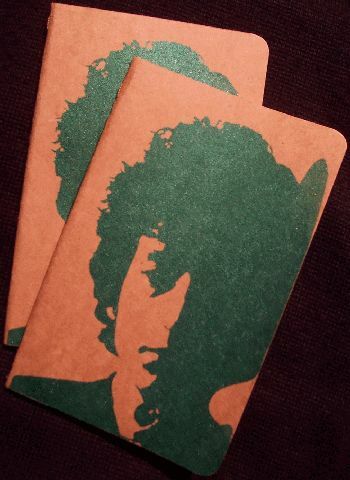 2007 UK promotional-only 8" x 6" x �" notebook for the 3 CD album set 'DYLAN'. 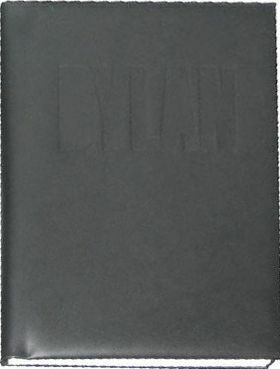 This stylish notebook has 48 pages with a red 'Dylan' logo printed in the bottom right corner of each page and a black padded cover with an embossed 'Dylan' logo on the front. 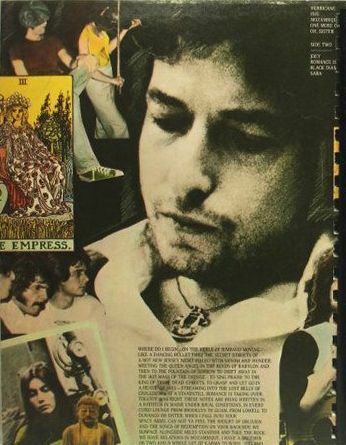 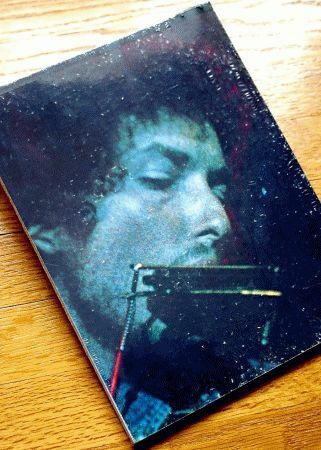 Also includes a Sony/BMG invitation to the opening party of 'Visions Of Dylan' - an exhibition of photographs inspired by Bob Dylan in the aid of War Child - held on 1st October 2007 at The Hospital in Endell Street, London. 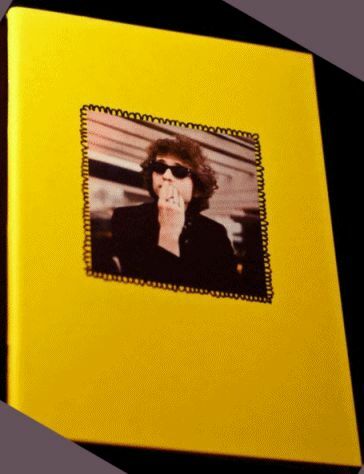 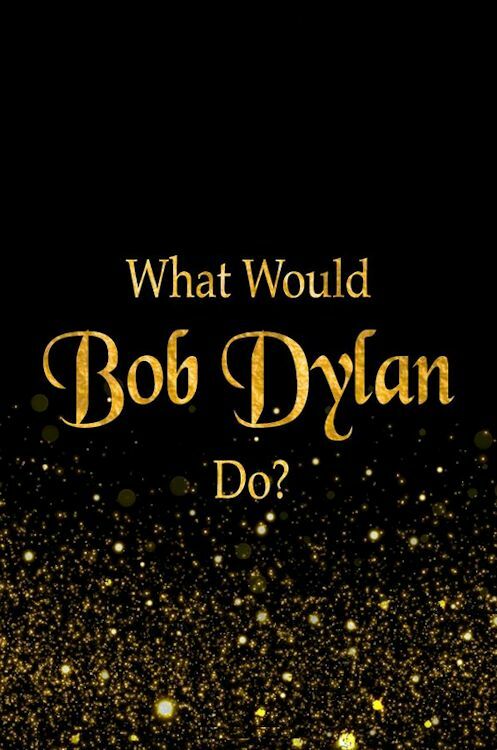 2018, Black and Gold Bob Dylan notebook. 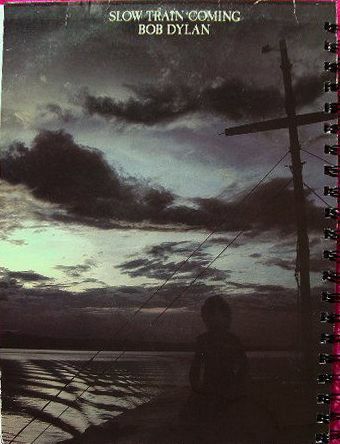 Printed in Thailand, no information. 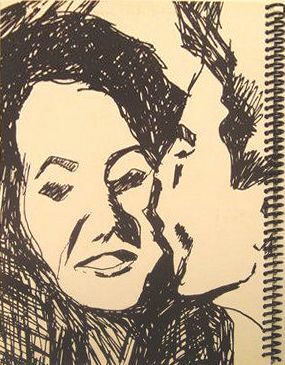 Cover art created from a hand carved linoleum block, inked and hand pulled individually. 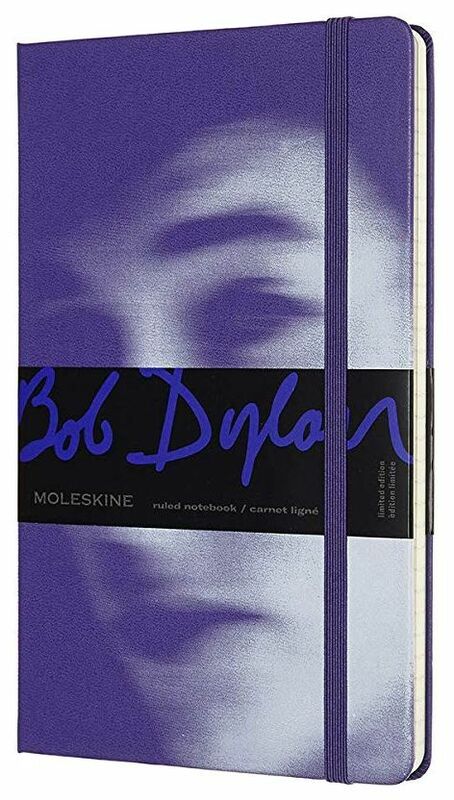 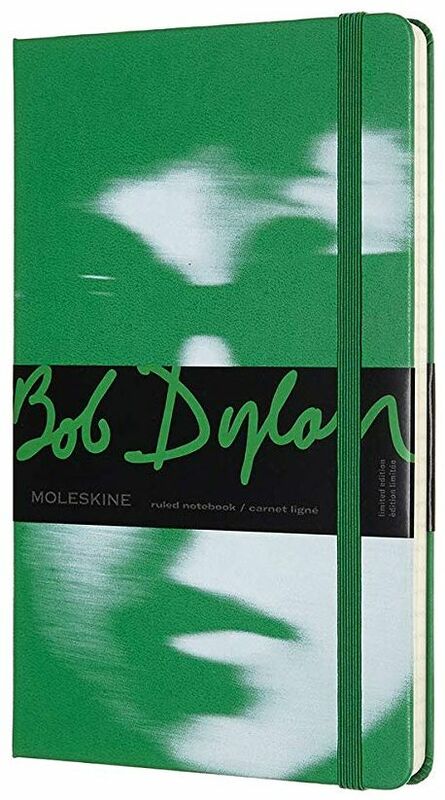 The notebook is Moleskine Brand: 80 unlined pages, last 16 sheets detachable. 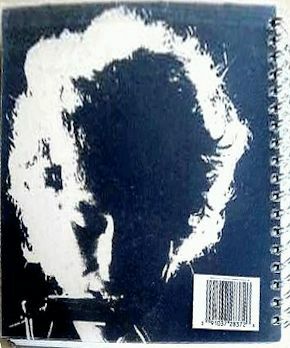 Acid free paper with an inner pocket. 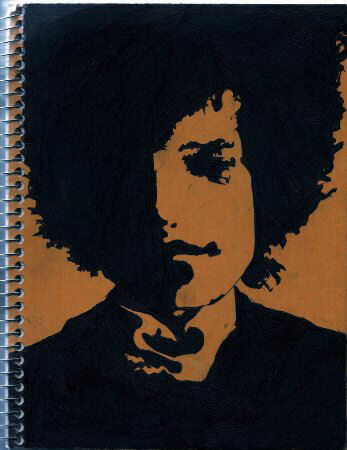 Dimensions 5"x8 1/4". 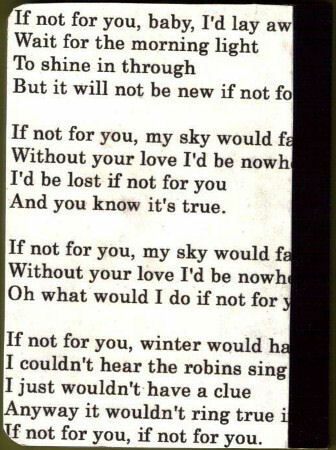 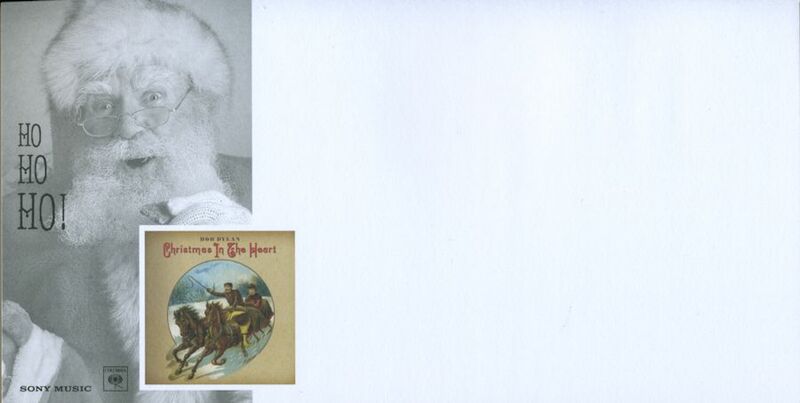 4"x6" postcard size. 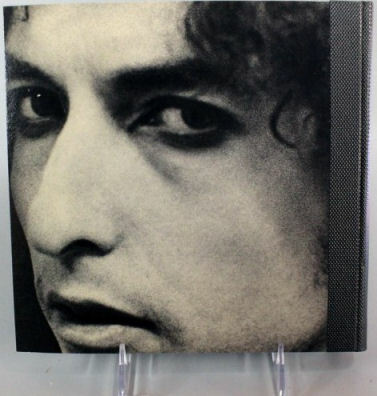 Sturdy hard-back cover made from 100% recycled materials. 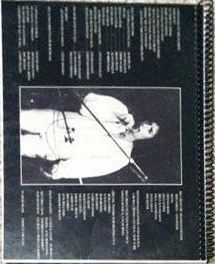 175+ sheets. 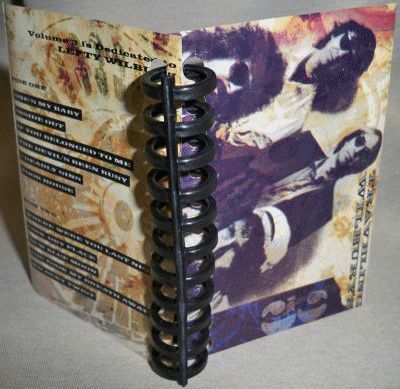 Mini notebook made from the insert for a cassette tape of the Traveling Wilburys' Vol 3 album. 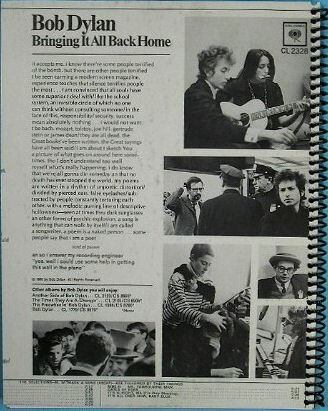 Insert pages include instructions for doing the Wilbury Twist! 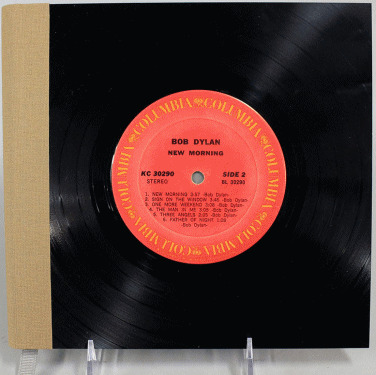 The booknotes below use the front and back cover of an original sacrified vintage album. 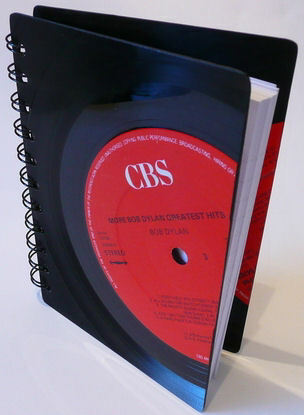 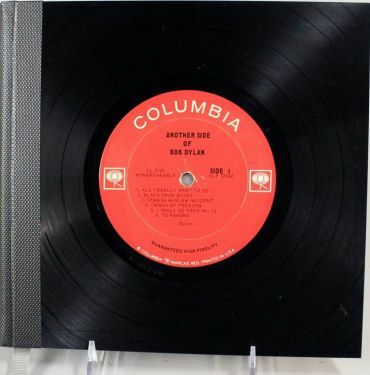 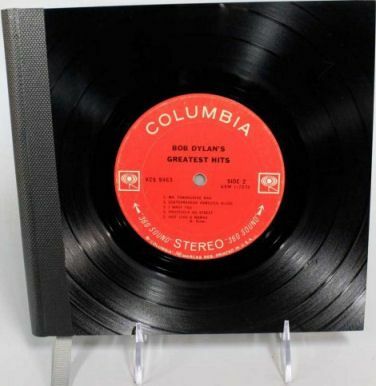 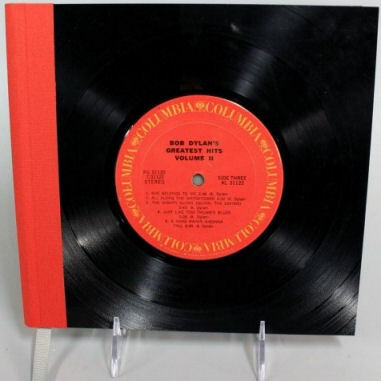 Original LP recycled, spiral bound A6, 12cm x16cm. 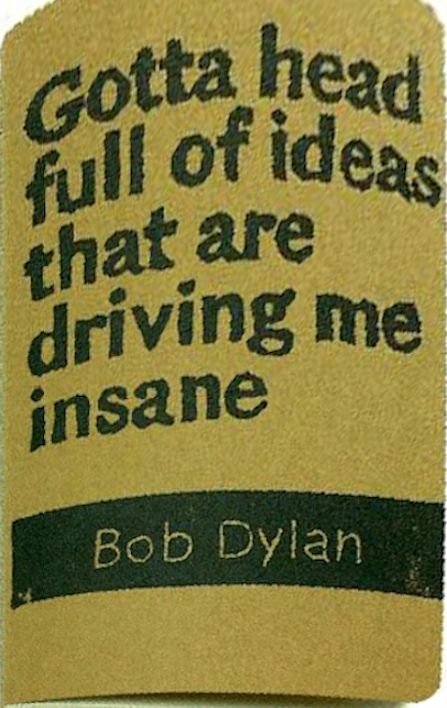 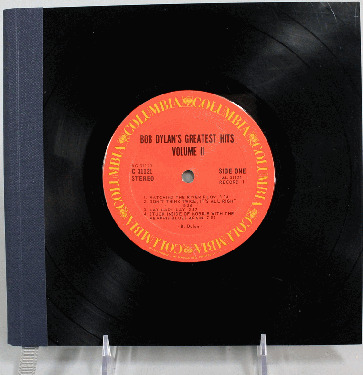 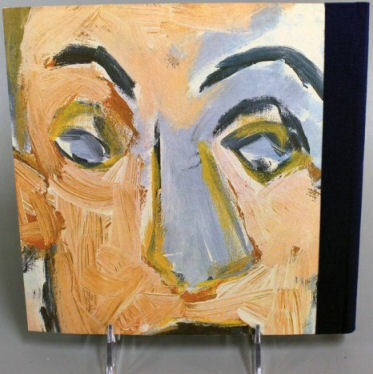 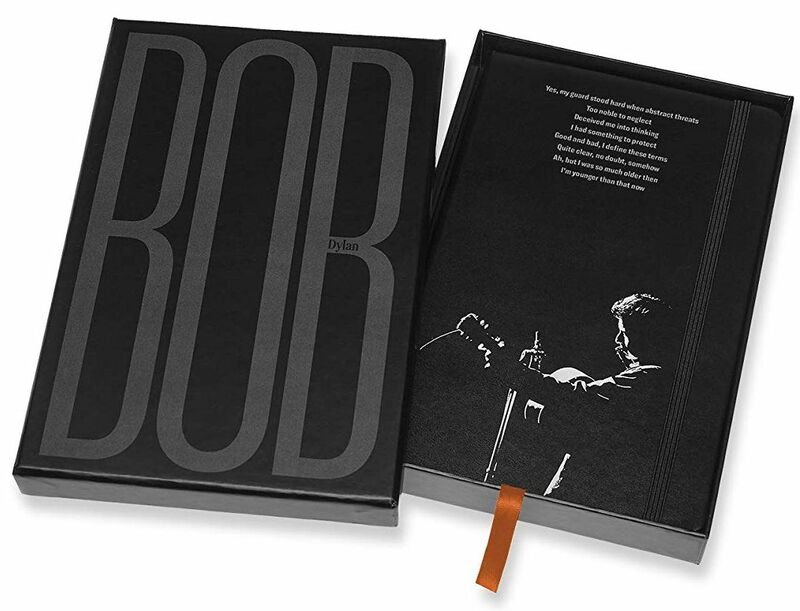 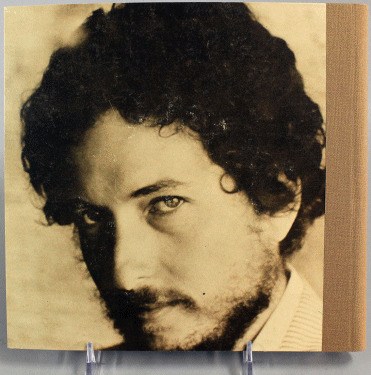 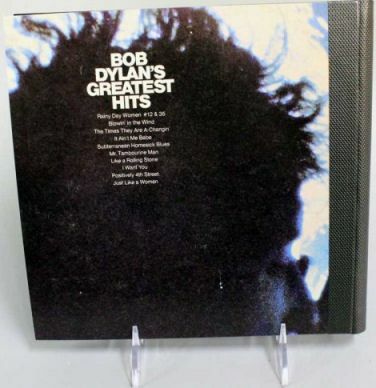 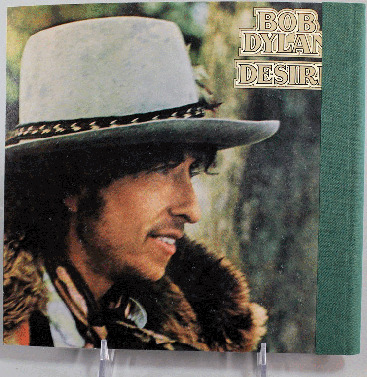 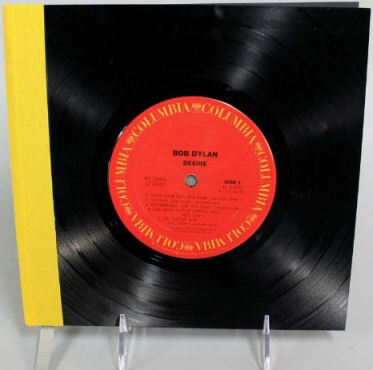 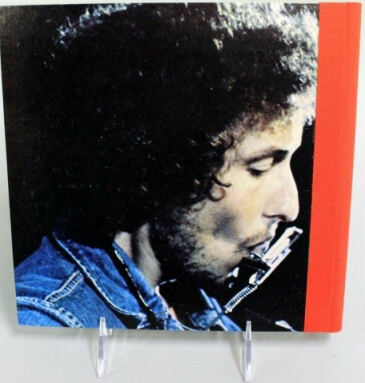 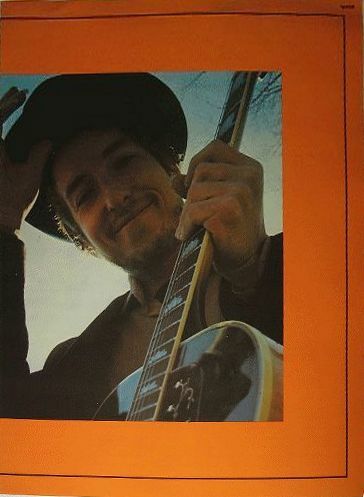 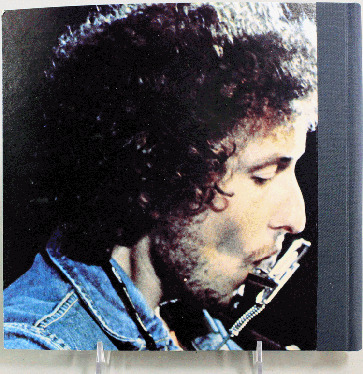 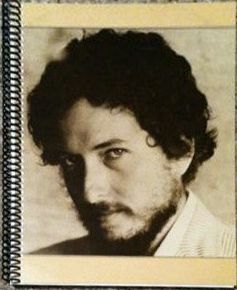 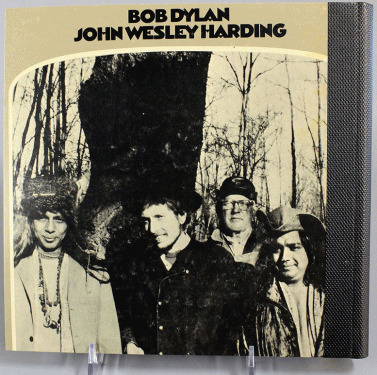 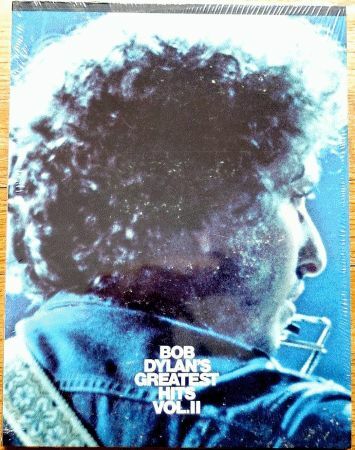 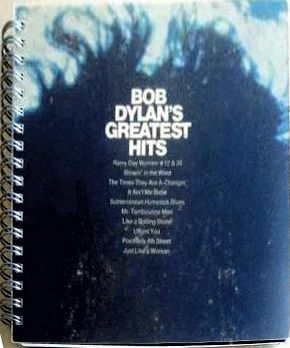 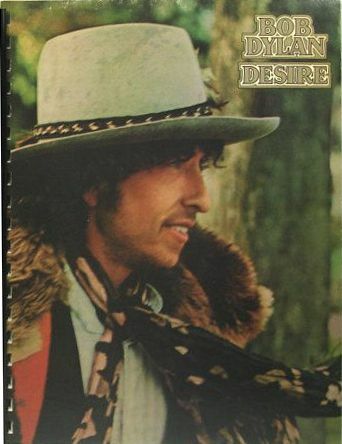 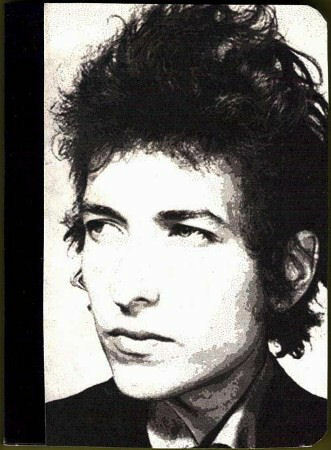 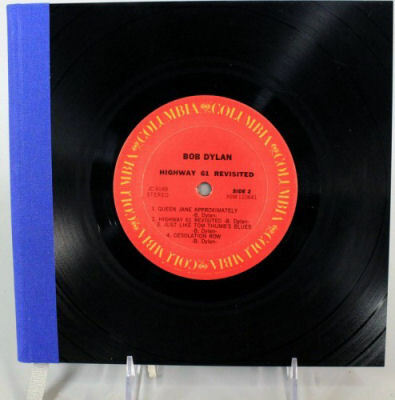 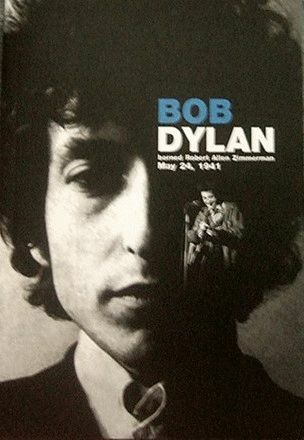 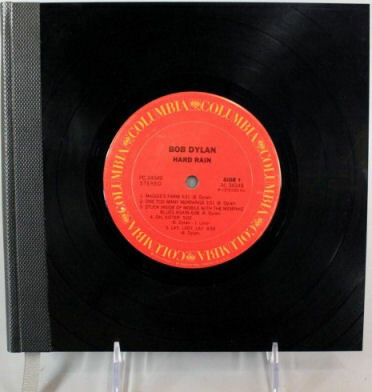 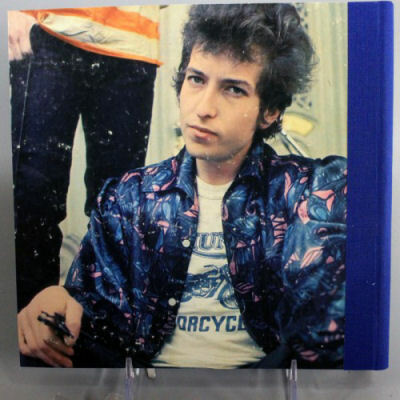 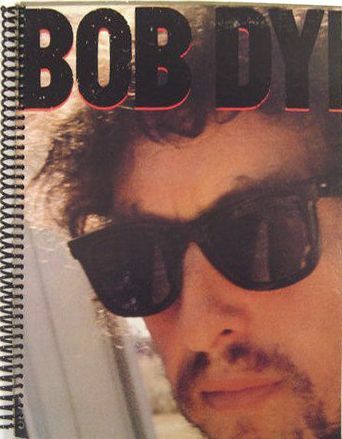 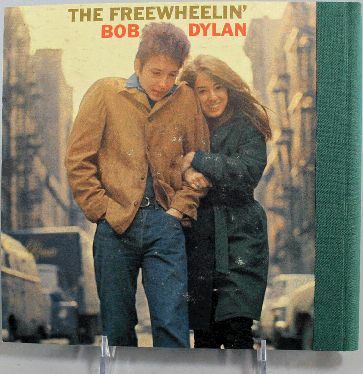 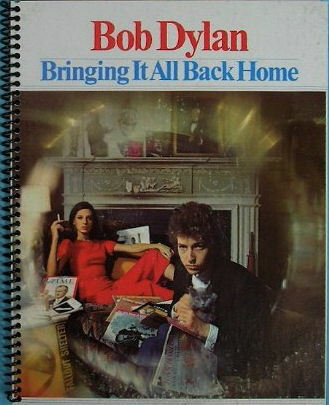 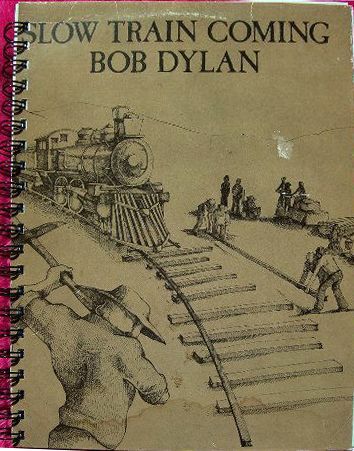 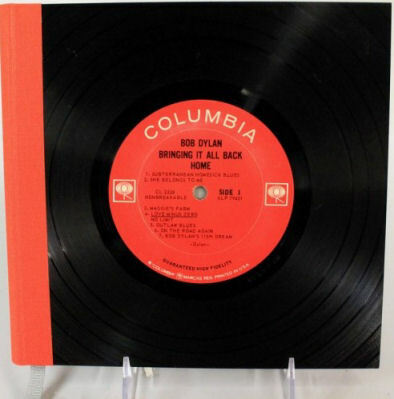 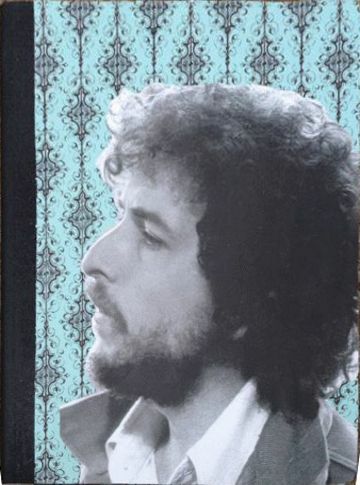 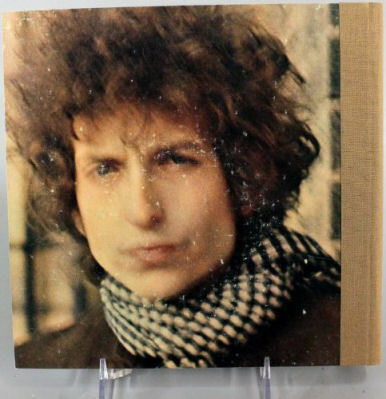 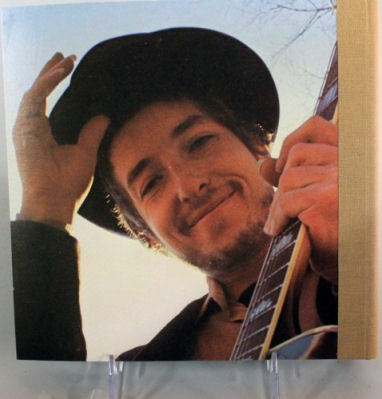 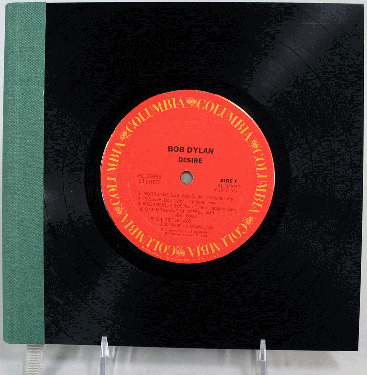 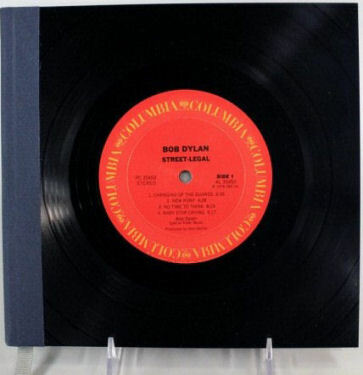 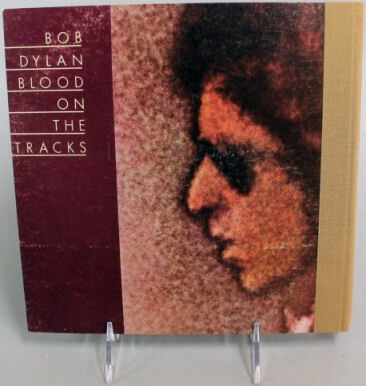 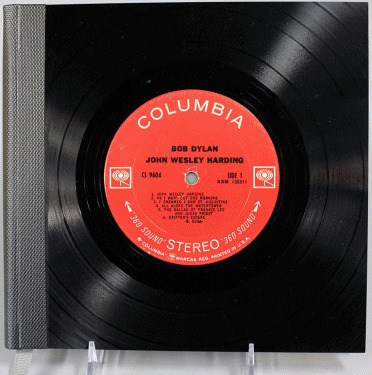 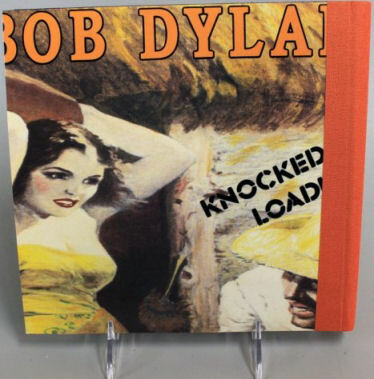 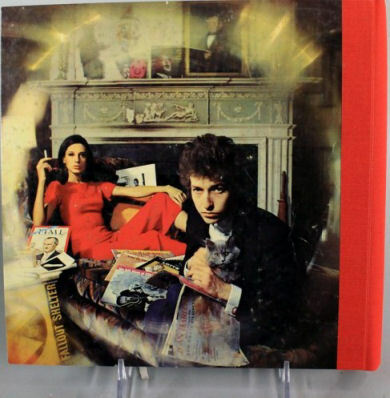 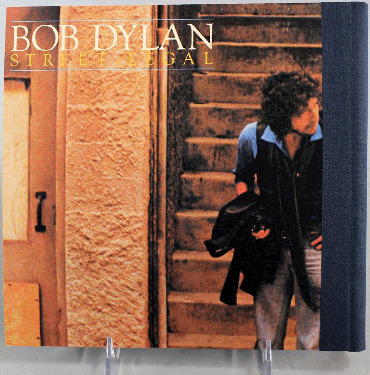 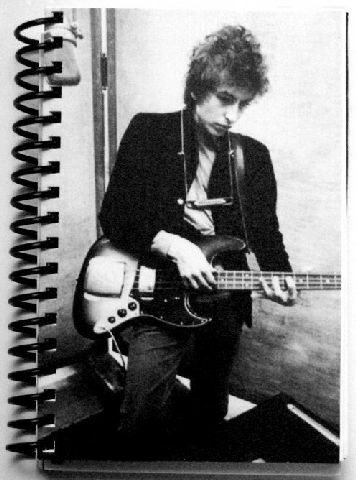 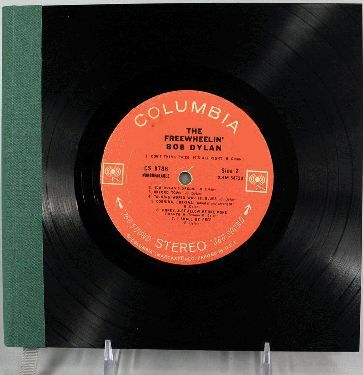 'ALBUM series': Made from Bob Dylan's classic albums with acid-free paper, these journals measure 8 1/2" wide by 8" high. 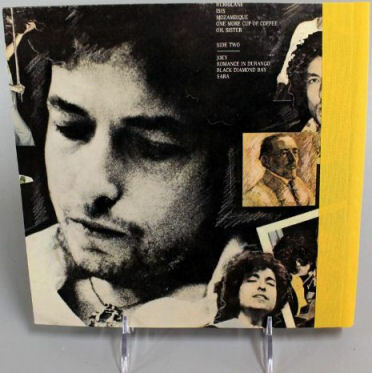 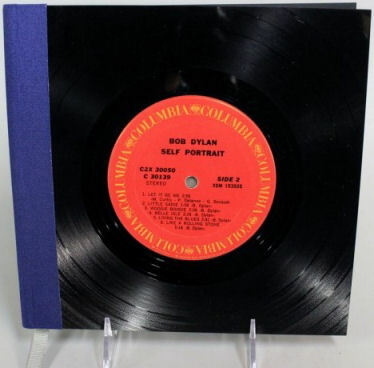 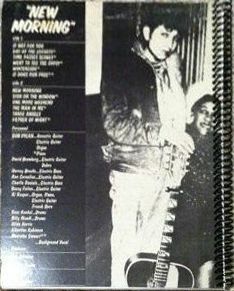 The front features the label and the back cover is made from part of the actual album art. 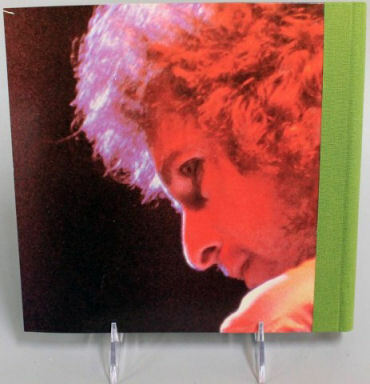 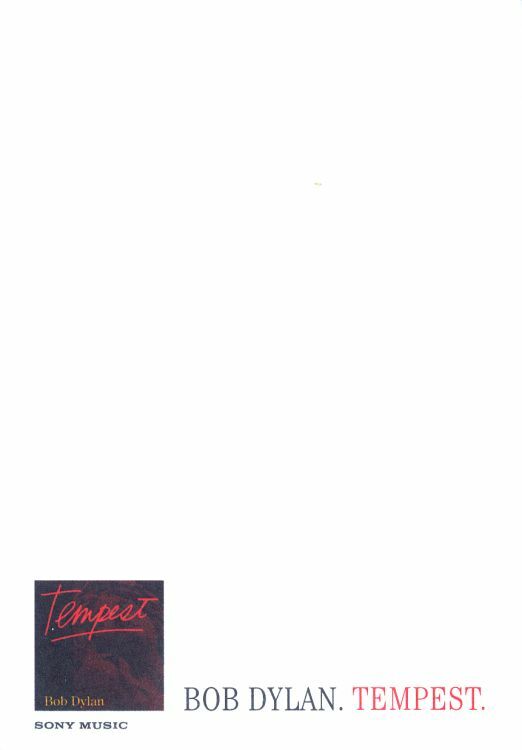 240 unlined pages on 7-1/2" x 7-1/2" high quality 70 lb. 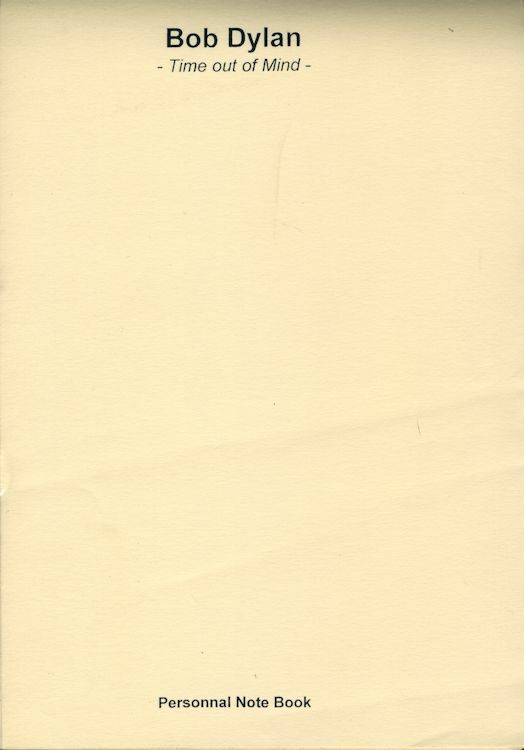 acid-free paper. 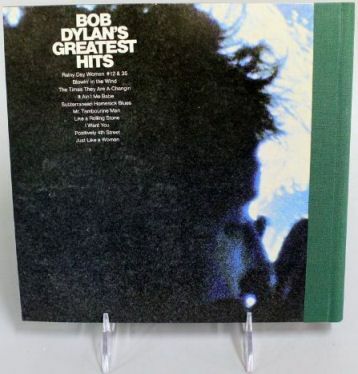 "All journals are handcrafted from recycled environmentally friendly paper, a genuine vinyl album, and are 100% made in the USA, from vintage albums". 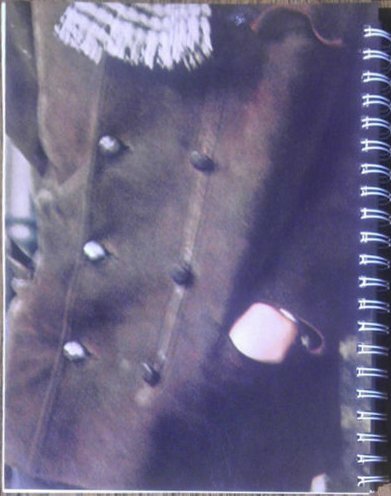 Thanks to Wil Gielen for the scans and information.